Pusat Refleksologi Dan Fisioterapi Chukai is a Spa located in Kemaman, Terengganu. If you would like to know their latest promotion, call them at 60192260033. 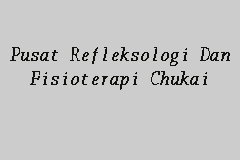 Start share your experience with Pusat Refleksologi Dan Fisioterapi Chukai today!